We open up too many apps on Android like we open up too many tabs on Chrome, and there was a handy solution: the 'Clear All' button that closes all of open apps. 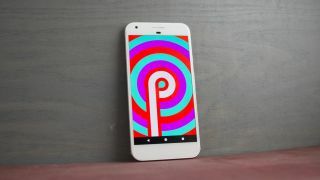 This button is sorely missing from the Android P beta, which introduces a new interface to the home and recent buttons. It gives you can an overview of all open apps when you swipe up from the bottom of the screen. That's all well and good, but this new multitasking UI is missing the 'Close All' button that was introduced in Android Nougat and so many people rely on. They took notice and, as you do these days, took to Twitter. Android VP of Engineering responded to one of these tweets, noting that the 'Clear All' button shall return, responding with, "Coming to a Beta near you soon". The 'Clear Button' is important, but it doesn't actually speed up your phone. That's a myth that has so many people fruitlessly clearing away apps to save battery life (and burning screen time doing it). Instead, the button acts as a way to declutter the number of apps you have open. Having a simple method of pushing reset on the app windows hovering about in the recent menu is indeed handy. Even if it doesn't do what a lot of people think (speed up your phone), it still has a function in 2018, and it feels as if even Google knows this now following Google IO feedback.